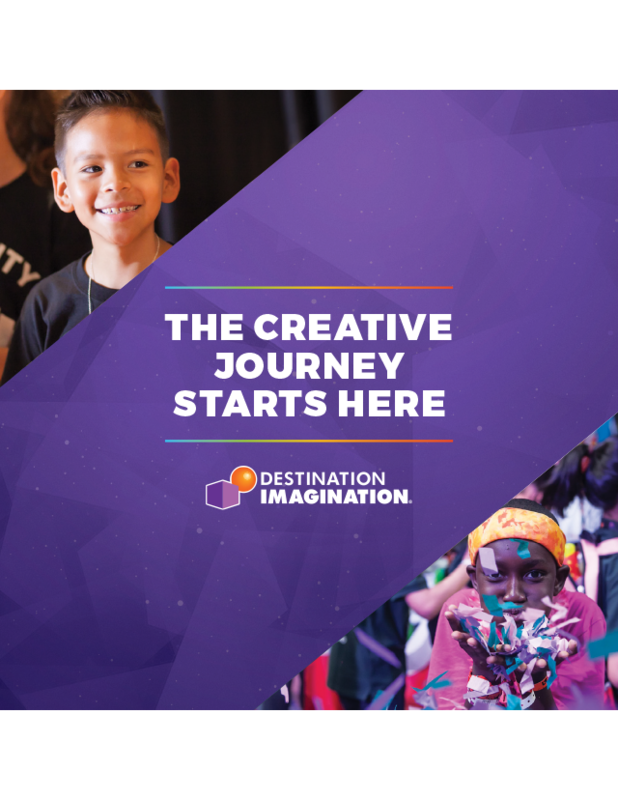 Waves to Dunes Region » What is Destination Imagination? Destination Imagination (DI) is a project based, kid-driven program that teaches kids to be innovative problem solvers. Using STEAM, teams of students collaborate, think outside the box and create unique solutions to one of seven different challenges in preparation for a fun, problem-solving competition. Destination Imagination (DI) is a non-profit, volunteer-led organization. Our purpose is to inspire and equip students to become the next generation of innovators and leaders. Students (K-12) work together and cooperatively, with a team of 2 to 7 members, to solve one of the seven Team Challenges. Each challenge has its own educational focus. Each Team Challenge is designed to be open-ended and solvable in many ways and on many levels. After weeks spent creating, developing and practicing their solutions, they go to a local tournament. Top-scoring teams advance to state tournaments. The top level of the tournament is our Global Finals—the world’s largest celebration of creativity. What Does a Destination Imagination Challenge Solution Look Like? Watch how a San Diego Global Team solved the Science Challenge! How Do I Do DI? Learn about Destination Imagination (DI) in Southern California by signing up HERE or by attending one of our Information meetings HERE. If you or your child is interested in starting a team, please contact us so we can start a team at your school! The average cost of participating on a team is $125/student depending on how many students are on the team and what challenge they choose. Teams that qualify for the state tournament and Global Finals will incur additional registration and travel fees. We want to make this program available to as many interested students as possible. Teams are managed by parent volunteers. Being a team manager can be a truly rewarding experience, and plenty of training and support is available to help you. Please let us know if you are interested in managing a team HERE.